The launch of a new S-class in 2013 began a revival at the Mercedes brand. STUTTGART -- Mercedes-Benz is expected to reach its goal of becoming the largest global premium automaker four years early - a feat achieved after the brand stopped chasing market share and focused on refreshing its lineup. Introducing an elegant, sporty design to new models and establishing itself as a pioneer in new technologies like autonomous driving has helped revive the marque and will help keep the carmaker ahead of rivals BMW and Audi, analysts say. The achievement is a coup for Daimler CEO Dieter Zetsche, who struggled to revive the company following a messy divorce from mass-market brand Chrysler in 2007. Less than four years ago Zetsche faced restive shareholders, worried that the automaker was lagging behind BMW and Audi. "We had some deficits, cost and quality problems. Design was not top-notch. And with Chrysler we were no longer a pure premium carmaker," Zetsche told Reuters in an interview held late in 2016 in his office at Daimler's headquarters in Stuttgart, Germany. On Sunday, Daimler said sales of Mercedes-branded passenger cars in 2016 rose 11 percent to 2.08 million. BMW, which has held the premium sales crown since 2005 and is due to release annual sales figures on Monday, is not expected to beat this lead. Audi said Saturday that its 2016 sales rose 3.8 percent to 1.87 million. Zetsche has presided over a renaissance in the design and technology of Mercedes vehicles, refocused the company on technological superiority instead of short-term sales goals, and adapted the entrepreneurial mindset of Silicon Valley to the traditionally risk averse culture in Germany. Zetsche set the goal of making Mercedes the best-selling luxury carmaker by 2020 at the company's 125th anniversary in 2011, a year when even Audi sales overtook those of Mercedes, pushing it into third place. "Since then we worked hard and today we are leading or among the leaders when it comes to innovation, quality, design and security," Zetsche said. Audi was gaining traction with customers thanks to modern designs, so Zetsche appointed a young designer, Gorden Wagener to head up Mercedes design. He introduced an elegant and sporty style to spruce up a staid lineup. Mercedes cars were also equipped with state-of-the-art digital display technology, luring smartphone-savvy customers. Today, Mercedes follows its motto "the best or nothing" by thinking about whether customers would notice or benefit from a new technological innovation, and by benchmarking the brand against competitors, Zetsche said. 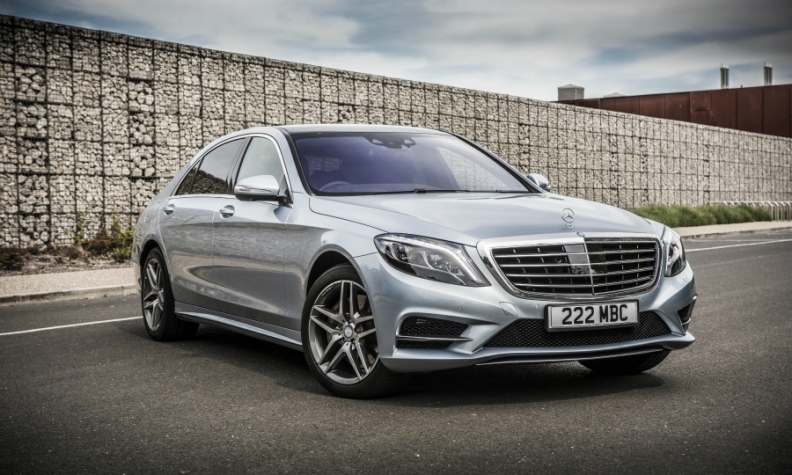 The company's renaissance began in earnest in May 2013 with the launch of a new flagship S class. To burnish its credentials as a technology leader, Mercedes developed a prototype version which drove around 100 kilometers (62 miles) autonomously the same year. Rather than designing a limousine which appealed mainly to rear seat passengers, the new S class featured large digital display screens on the dashboard, a deliberate attempt to appeal to a younger, driver-focused audience. Mercedes also revived the Maybach brand, a marque targeting the ultraluxury sector which the company had stopped making after the prior bespoke design failed to gain traction, leading the car to sell only 200 times in its final year of production. Since Maybach's latest revival in February 2015, Daimler has sold 15,000 cars. "The rewards we are reaping today are the logical consequence of careful preparation," Zetsche said.